It has been well said that if we hope to impress fundamental truths upon the candidates, we cannot leave the observance of our laws to their voluntary determination. And, also, that if we succeed in so interesting but one Brother that he will read and study Masonry, dig and delve in Masonic lore, and teach and practice its principle in his everyday life, we have accomplished more humanity than by pinning buttons and emblems on a hundred and making them Masons in name only. 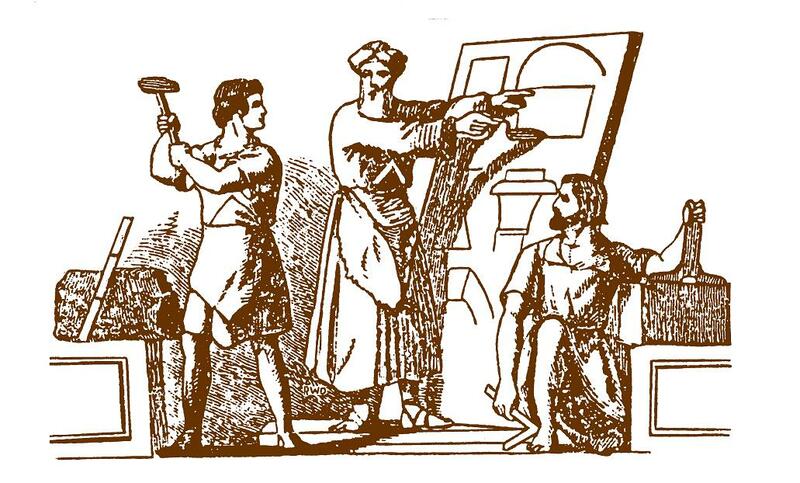 It is expected that those who have an intelligent understanding of the history and purpose of masonry will seek to educate others in the same intelligent way. An uninstructed, uneducated Mason is not a benefit to the Craft and may be a detriment. There are two views of Masonry. Some men consider Masonry as a club, a social organization of mutually selected men whose sole object is the enjoyment of such fellowship, and to whom the ritual and secrecy of the initiation ceremonies afford only passing interest and casual entertainment of the moment. The other view of Masonry is that it is a cultural school, a school of practical ethics, an organization for the cultivation of social morals, with a course of study as progressive as the needs of the civilization, and as logically consistent as the events through which society passes from goal to goal in its journey toward world brotherhood. (1) “Masonry has for its mission today and it is a great mission, a responsibility which it cannot avoid, the spreading of the doctrine of the brotherhood of Man - that single foundation upon which all men throughout the world agreed. (2) “We as Master Masons have high duties to perform. We are met because of the compelling force of those magic words Human Brotherhood. While we meet in peace a war-torn world is torn by jealousies and animosities. The very air is vibrant with discord and the clash of human passions. What the world needs more than anything else is to learn the lessons of brotherly love, and in all the earth there is no organization so well equipped as ours to carry and teach the lesson. If civilization is to advance, if human life is to grow, if it is to bear proper fruit in individual or collective advancement, its roots must go down to bedrock in the soil of right conviction. The temple of life must be built upon a broad secure foundation." As we learned during the ceremonies of the degrees, the symbolism of the ritual is that the candidate, as an individual, is building the temple of his character. Yet it has a broader application. The individual Mason, when he has attained that state of perfection when he can be properly termed Perfect Ashlar, represents the prepared stone ready to be fitted into its place in that greater temple of brotherhood which Masonry is engaged in erecting. Man’s nature has often been said, is so constituted that his happiness consists in perpetual progress. The idea of building is but one way of expressing the sublime truth that man was created for eternal progress which was one of the earliest teachings of Freemasonry, and was illustrated in its most ancient rites. The individual Mason, as has been said, is engaged in the building of his own character, and the knowledge which he gained through the degree work may be considered as the foundation of the building. The super structure which he is to erect upon that foundation must be raised, however, by his own efforts. His labor, therefore, is not finished upon acquiring the right to be called a Master Mason. On the contrary, it has just begun. For the erection of his spiritual building, the Mason is given various working tools which he must know how to use with care. The gauge, the level, plumb, level, and square are given him, each with symbolic meaning. The working tools of the Apprentice are to be used in subduing his human nature and in turning himself into a moral man. This being accomplished, he is then ready to apply to his work the plumb, level and square. When the plumb has shown him that he is upright, a man of integrity: when the level has shown him that he has developed recognition of equality and that he is faithful. A man of fidelity’ and when the square proves by test the showing of the plumb and level are straight and true, and they square with each other, then only thus the Fellowcraft know himself fir for service. And it is only when fit for service, after having passed the test of the square. That he is sure he has made that suitable proficiency which entitles him to use the trowel, the instrument for rendering service – the only tool for use upon others. The square is one of the working tools of the Fellowcraft; but in the study of the square we find that it is always nearly linked into the compasses. The square is a right angle and belongs to geometry, or earth measurements. The compasses described circles and deal with spherical trigonometry, the science of spheres and heavens. The square therefore is a symbol of what concerns the earth and body; the compasses that of heaven and soul. In another word, the square symbolizes material things and the compasses, spiritual things. These ideas are illustrated by the arrangement of those tools during the different degrees. The Apprentice symbolizes man influenced by materials things only, the points of the compasses are below the square. The Fellowcraft has gained partial control over his earthly and material nature. One point is above, the other below. As the heavens are higher than the earth, so should the spiritual man rise above the material and dominate his thoughts and actions. The Master Mason symbolizes the man who rule, control, and empire over his appetites and passions. Both points are dominant. The idea is well expressed in the following quotation.